The reason most consumers buy an anti aging beauty product is to reduce the effects of aging on their skin. But how do you trust what you’re buying really can make you look young again? There are more anti aging beauty products on the market today than the consumer can buy. Each product offers a slightly different look at how beauty can be achieved. This look may not mean the product is created from new ingredients and can often just be a play on words to convince the consumer to try out the newest beauty product made from the same old ingredients. How many beauty products have your tried in an attempt to reduce the signs of aging? How many have you tried more than once? While many products tend to use research about ingredients as a method of self promotion, the formulas may not include the ingredient or enough of the ingredient to claim the same effect. For instance, if a beauty product contains a small amount of green tea, the manufacturer could link to various educational and government websites touting the praises of green tea as an anti aging ingredient. But the beauty product may not contain the same amount of green tea they used in the research, but the consumer will never know. The fact is, when claims are made by the manufacturer and they are long on hype and short on substance be wary of such products. Another huge factor in trust is the ingredient list. Any true anti aging beauty product will contain only all natural ingredients. Because aging is the dying off of your cells and anti aging is the fostering of an environment for your cells to keep renewing. You need to make sure that what you buy contains no synthetic chemicals or preservatives which are proven to damage and destroy your cells which with continued use over time will make your aging clock go forward not backwards. You will have more trust in any all natural anti aging beauty product. 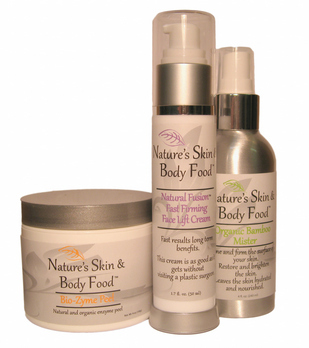 The ingredients are also important in regards to potential skin irritation and allergies. Not every anti-aging beauty product is perfect for all skin types. The inclusion of some acids and moisturizers can cause skin irritation. If the consumer does not know what ingredients are used in the product, how are they to trust the claims of the website? The popularity of the beauty product weighs heavily on the manufacturer and the marketing for that product. If the claims about the product are found to be false, the consumer will lose trust and the product will fail. It is the beauty product that both men and women buy more than once that truly can be deemed a success. Any manufacturer can trick the consumer into buying the product the first time, but the product that is worth buying again must offer some anti aging beauty benefits to the skin.